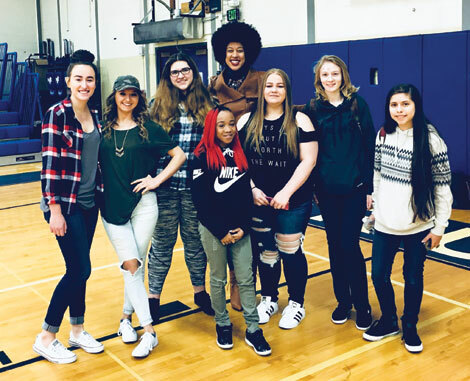 Erin Jones (standing in back) posed with students during a Martin Luther King Jr. Day assembly at Eatonville High School. Jones was the featured speaker. A former teacher in Tacoma and Spokane, she has received state and national recognition for her work as an educator. She was an executive assistant for two former state superintendents of public instruction and was a candidate for that office in the 2016 election, losing narrowly.